Seasons are monitoring several factors such as vegetation; affect the seasonal business of different people across the people. Seasons have the great elementary effect on our lifestyle our food habits, our clothes we wear. It affects our moods, health. Sudden alterations in the climate generally affect the body's physiological function and changes in the physiological function generally affect the person's mental state. At the time of autumn, the weather mild, mental state of people tend to become over optimistic, feeling good; when it is cold rain, dry and hot weather, it may cause irritability or depression. During spring and autumn, when the temperatures is about 18 ~ 22 ?, people usually not only feel comfortable and mood are generally not stable. Thus most of the manner we behave, our food, our clothes, in short we live according to the seasonal changes we observe around us. Hence, season drive us. In the ancient times changes in season can be predicted by tracking the rising and setting points of sun throughout the year. Now, the scientists are working to better understand the climate variability and improve upon short-term predictions of extreme events such as tropical cyclones, sea level anomalies and unusually warm ocean temperatures and associated coral bleaching events. Scientists are predicting the output from the Predictive Ocean-Atmosphere Model for Australia (POAMA) to help in determining the climatic variability. Prototype seasonal prediction tools are being developed in order to better predict the short-term changes in the sea-surface temperatures and the coral bleaching. 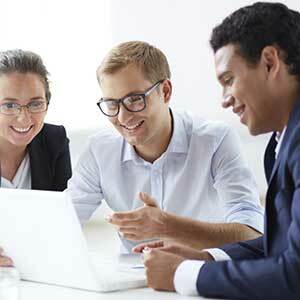 Basically there are three most specific causes behind the seasonal changes. c) North pole always points in the same direction. It is generally assumed that the climate change occurs due to the position of the earth nearer or farther from the sun. However, it is not the case. The earth revolves around the Sun in an almost perfect circle (it is only slightly elliptical- the most precise manner to draw the earth's path around the Sun is as a circle). Thus, it doesn't change by much how far away the earth is from the Sun. Moreover, we have summer in North America when it is winter in the South America, thus something else must be the reason behind the seasons. The Earth orbits around the sun elliptically and, simultaneously, spins on an axis which is tilted relative to its plane of the orbit. 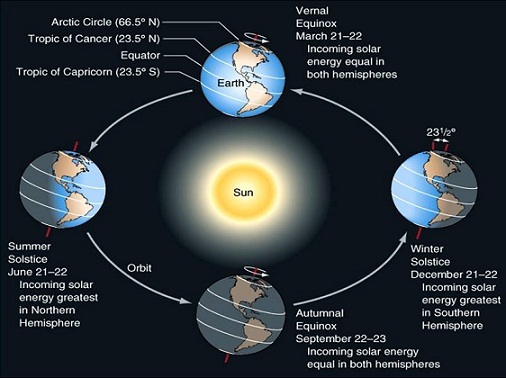 This states that different hemispheres are exposed to different amounts of the sunlight throughout the year. As the sun is the only source of light, energy and heat, the altering intensity and concentration of its rays provide rise to the seasons of winter, spring, and summer. The axis of the Earth is tilted at an angle of 23.5 degrees. This says that the Earth is always pointing to one side as it goes around the Sun. Thus, sometimes Sun is in the same direction that the Earth is pointing, while not at other times. This change in the amounts of sunlight around the Earth during the year, cause the seasons. Actually, the tilt of earth’s axis is significant reason behind occurring of the season. Tilt of the Earth means that the Earth will lean towards the Sun (which causes Summer ) or lean away from the Sun (which causes Winter) 6 months later. In between these, Autumn and Spring happens. 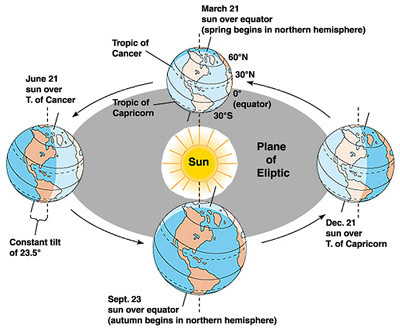 Seasons that are marked by the solstices and equinoxes — astronomical terms which normally relates to the Earth’s tilt. The solstices remark the points where the poles are tilted at their maximum towards or away from the sun. This is the time when the difference between the daylight hours and the night time hours is most acute. The solstices takes place each year on June 20 or 21 and Dec. 21 or 22, and presents the official start of summer and the winter seasons. The vernal equinox and autumnal equinox signs the beginning of spring and fall, respectively. During these times of the year, sun emerges to be directly over the Earth’s equator and lengths of the day and the night becomes equal over most of the planet. On March 20 or 21 every year, Northern Hemisphere reaches the vernal equinox and accounts the signs of spring. During the same time, winds turn colder in the Southern Hemisphere as the autumnal equinox sets in. The year's other equinox takes place on September 22 or 23, when summer fades down, and we observes the winter chill that leads the way spring in the north. 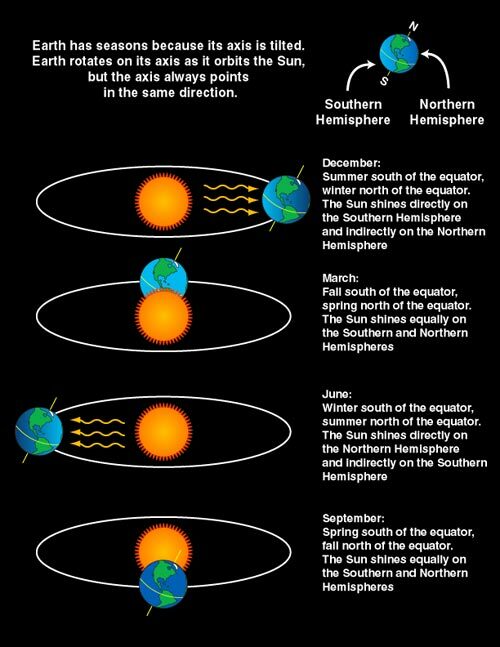 From year to year, we observes some variability within the equinoxes and solstices due to the way Earth’s altering tilt matches up with its orbit around the sun.